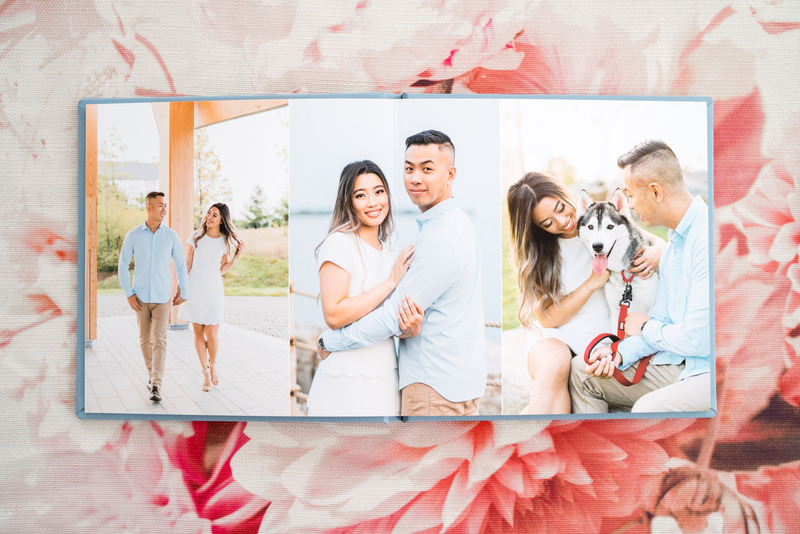 I love this gorgeous salt water taffy blue Trillium Park engagement album. 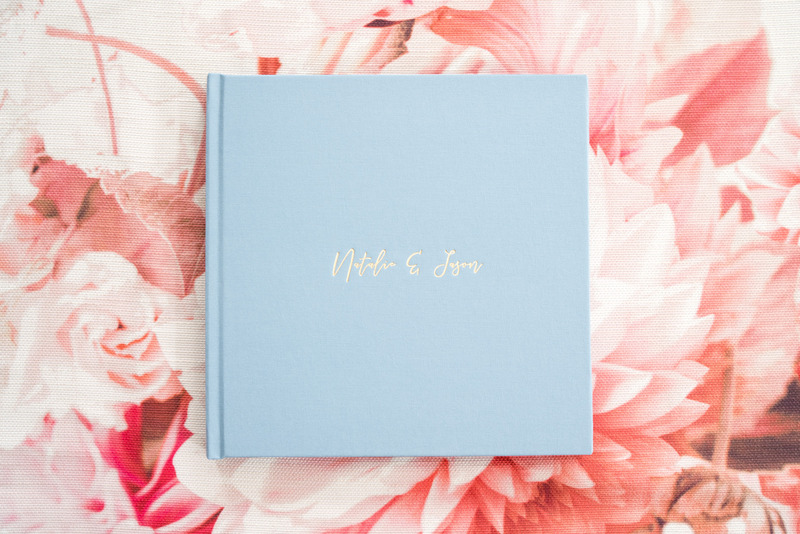 The blue is soft and pretty and matches the elegant gold debossing on the cover. 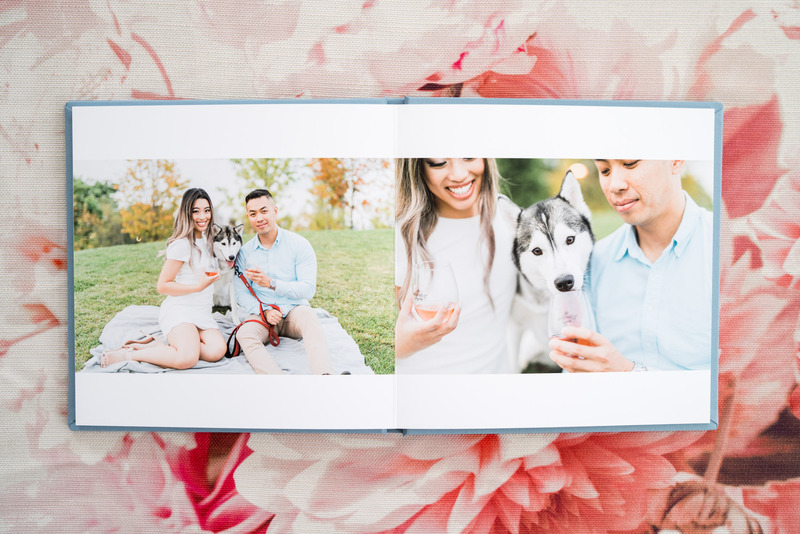 This linen album houses Natalia and Jason’s beautiful Trilllium park engagement session photos along with, of course, shots of their cute husky! 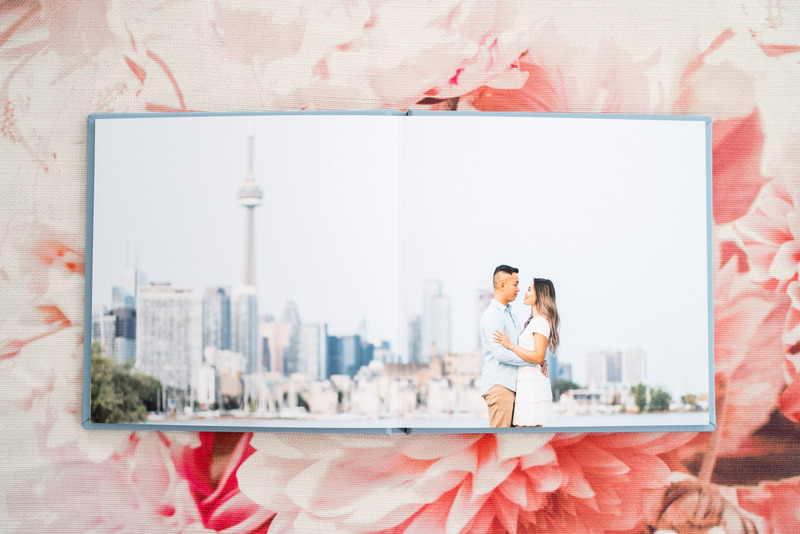 Find more of Natalia & Jason’s engagement session here!